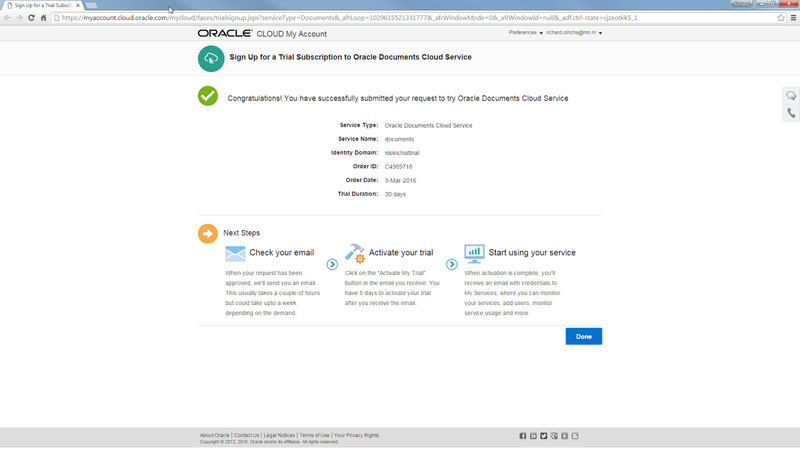 To synchronize your files with the Document Cloud Service, you can install a sync client. 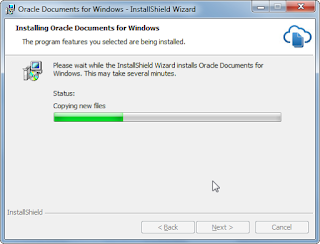 I mainly work on windows, so this blog will show you how to get the installer and show the progress of installing the client. 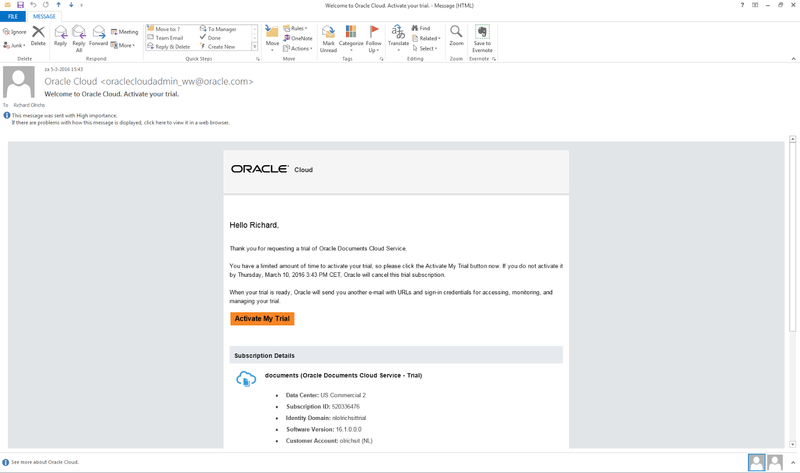 In your welcome e-mail there is a link to download the client, however for some reason that one did not work for me and showed me an error trying to install. 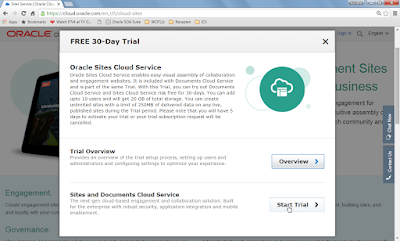 Luckily you can also download the client through your cloud console. 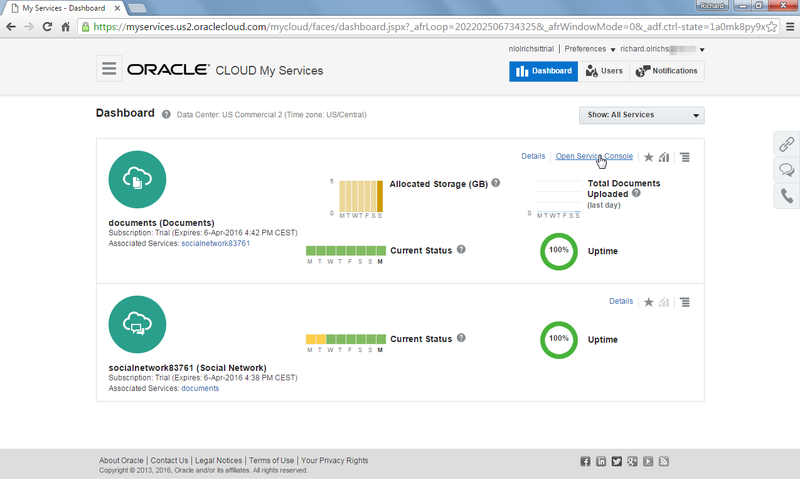 Go to your Cloud Services and open the service console. 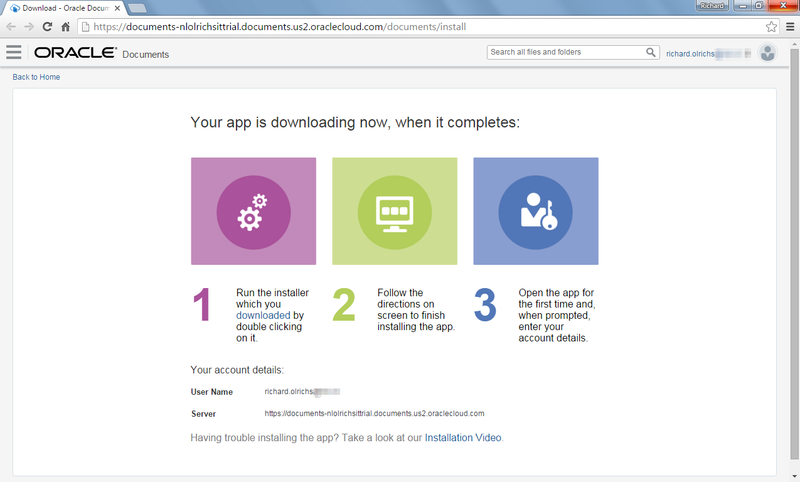 In the right top, open the menu and select the download app option. 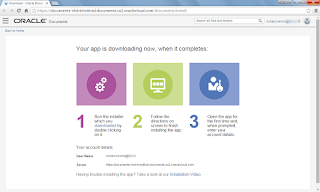 Your download will start and you will see an overview page. Make sure you keep this info, you need the server url later for the sync client. 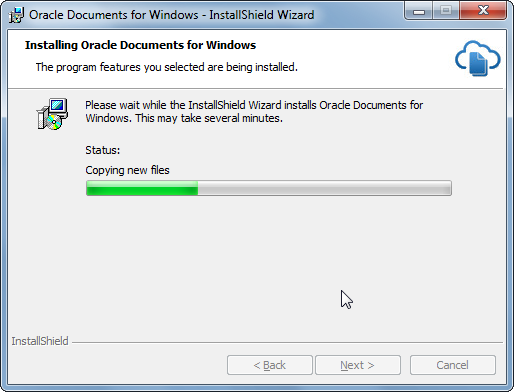 Run the installer and let the wizard help you install he client. 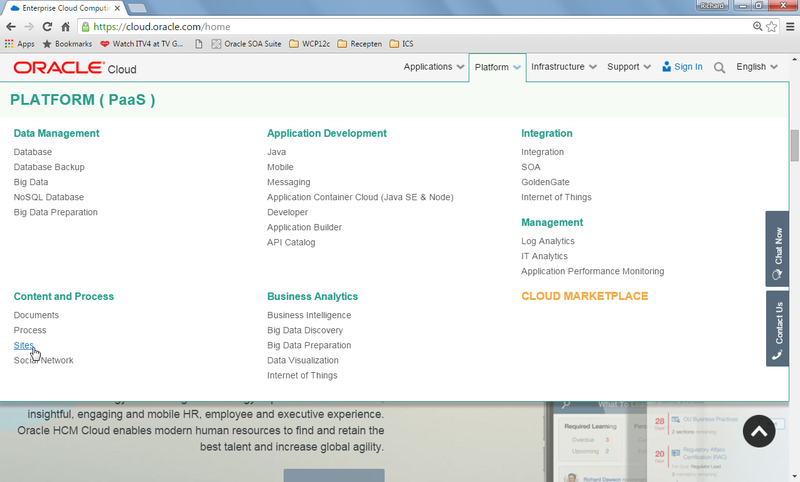 After the application is loaded, fill in the information from the overview page. Then sync master will open. 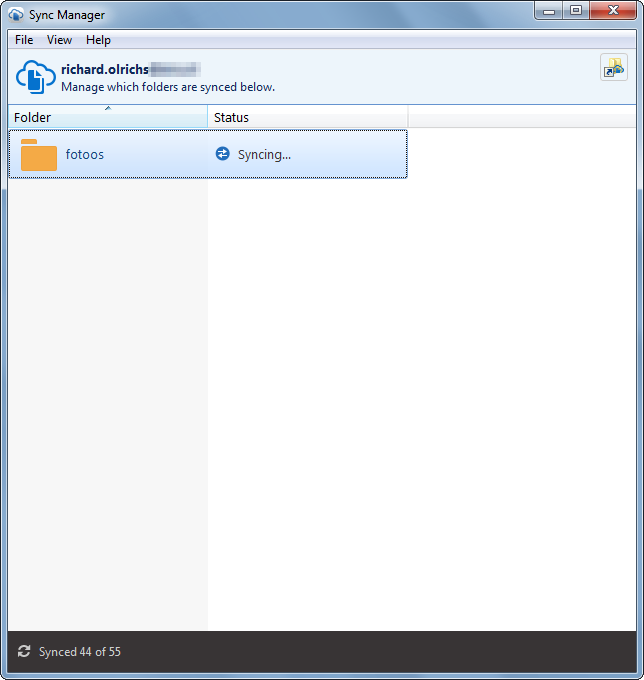 You will see the sync master in the start menu. 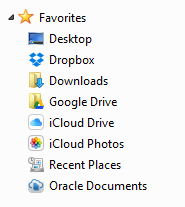 You will also see a Documents folder in your favorites. 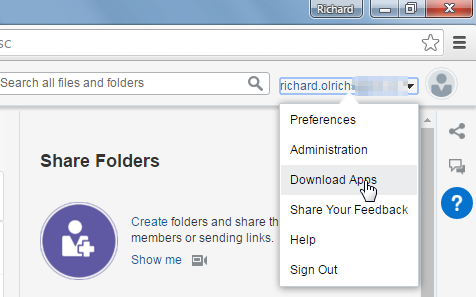 You can now move files into the Oracle Documents folder. 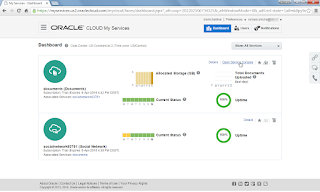 Use the sync manager to sync the files to the Document Cloud. 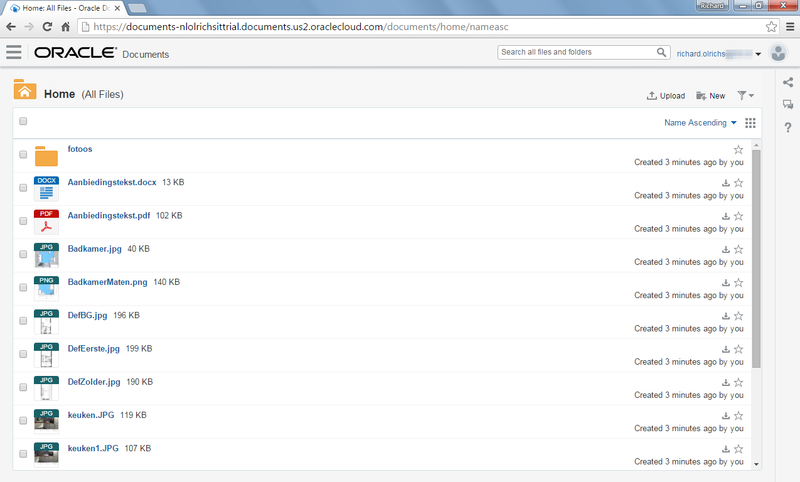 You should now see the files appear in the Cloud Console online as well. So as you can see setting up the synchronization client with the Oracle Documents Cloud only takes a couple of steps. The process of requesting a Cloud product is pretty straight forward, however, you can experience some hiccups as well. So for my future self and anyone wondering about this process here is what to do. 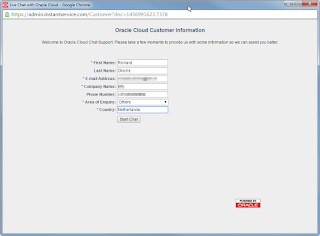 First of all, decide what product you want to request after going to the Oracle Cloud page. 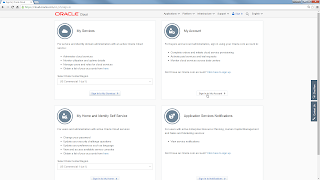 I am requesting a Platform (PaaS) Service, so Sites will be visible under the Platform Section. You can either click Sites or Documents, since they are in the same PaaS solution. In the top right corner click the ‘Try It’ button. 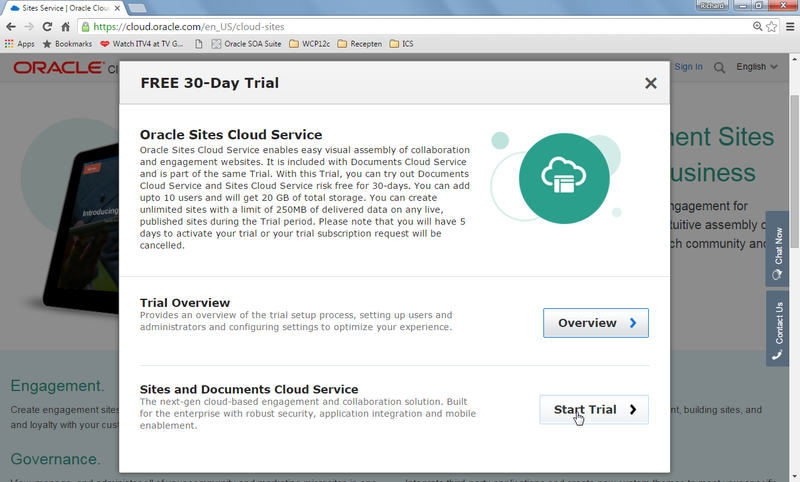 You will get a pop up and need to select ‘Start Trial’. 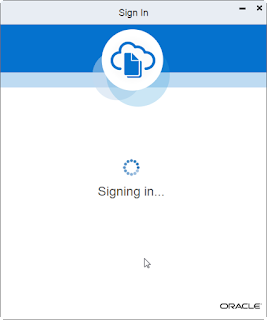 After that you will get the Sign Up form that you need to fill. Provide Oracle all your information and you will receive a text message with the verification code. 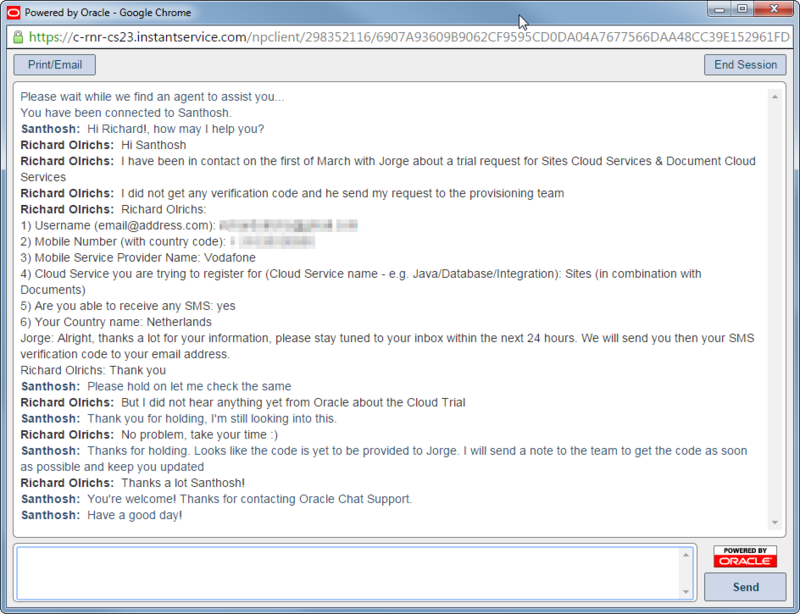 However, it sometimes happen that you do not get the verification code, in that case, you can click the ‘chat’ icon on the right side menu. 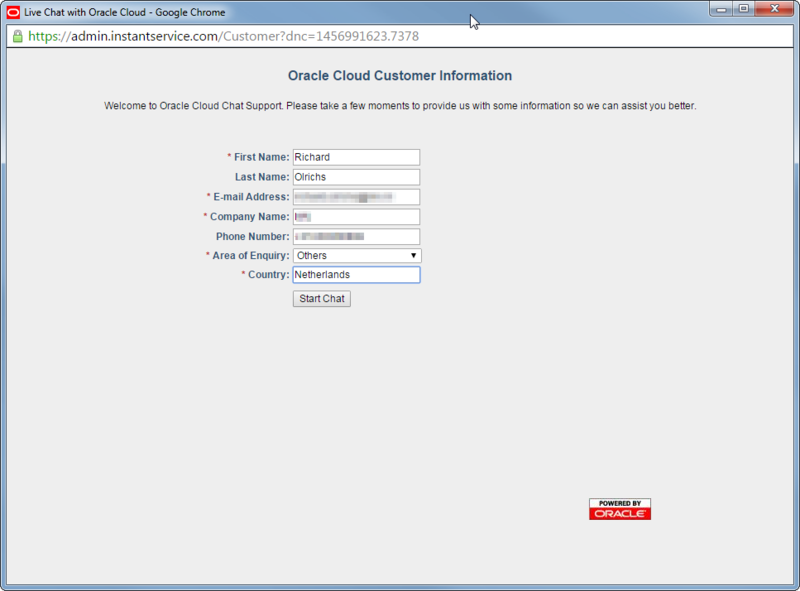 Provide your information before starting the live chat. 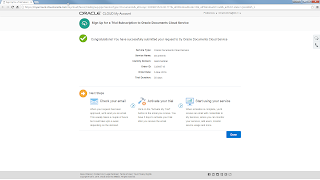 Tell your assigned agent that you did not get your verification code and he will make sure you will get it by e-mail. 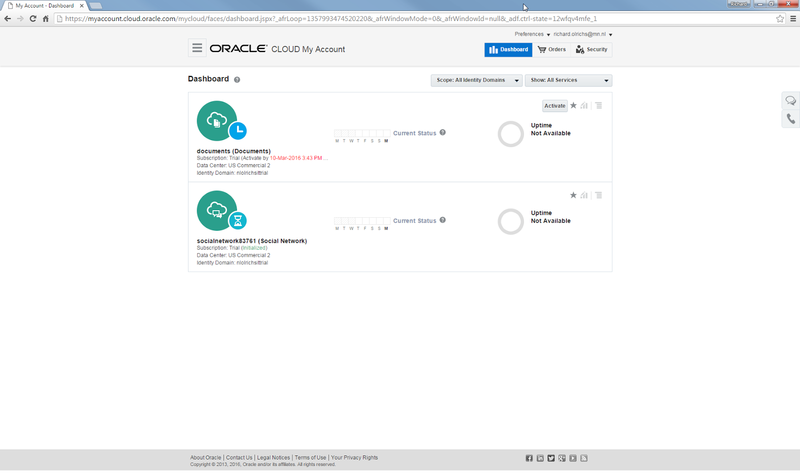 After using the verification code you should have successfully submitted your request. 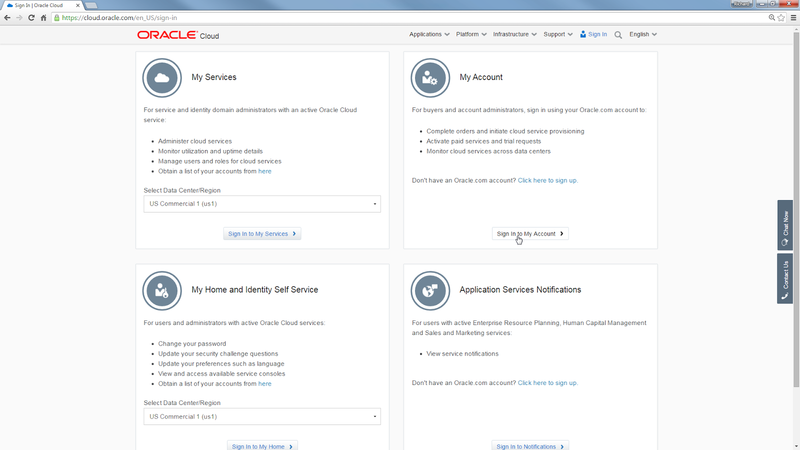 If you go back to the Oracle Cloud page and choose ‘sign in’ in the top, you should now see your services after login in to ‘My Account’. The status will first be Initialized. After that it should be ready for activation. You should have gotten another e-mail about this as well. 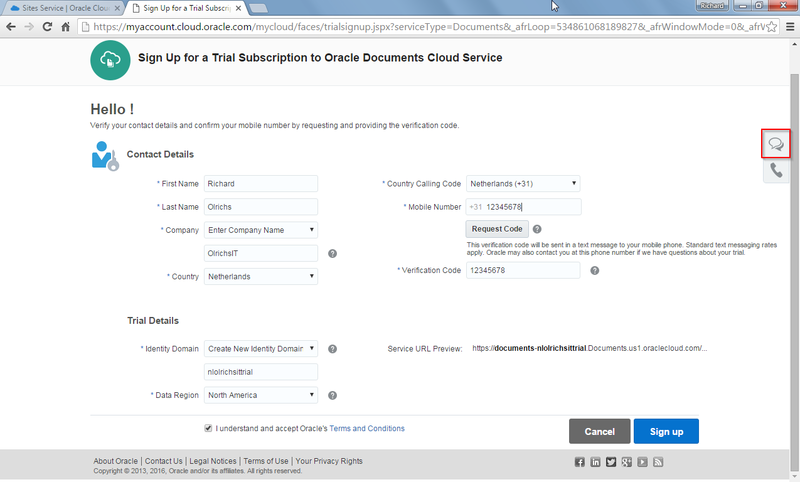 Open the e-mail and active your trial. You can now see that the Service is activated. 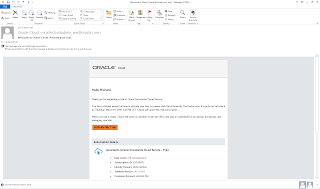 You should get another e-mail with the final information that you need. Your trial account is ready for use! 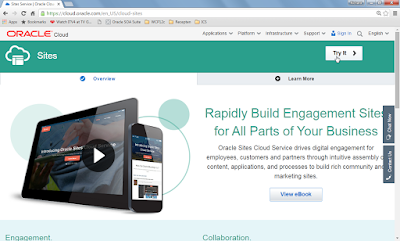 In October after OOW15 I wrote in one of my blogs about Microsites with SCS on top of DCS. 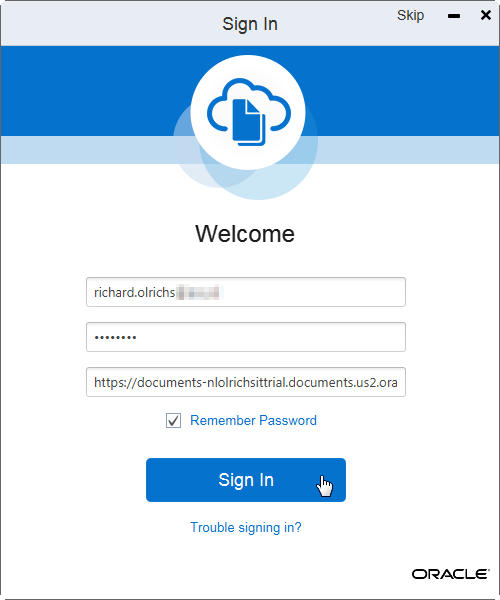 Now that both Documents and Sites are available for trial, I thought it was time to give it a try and start building a microsite. 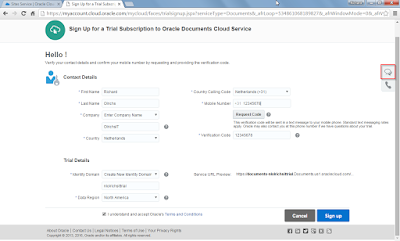 The plan is to create a series of blogs about both Document Cloud Services (DCS) and Sites Cloud Services (SCS). From requesting the product, to building the microsite. In the first blog, Requesting Oracle Sites Cloud Services, I will describe how to set up your trial account with Oracle and activate it. 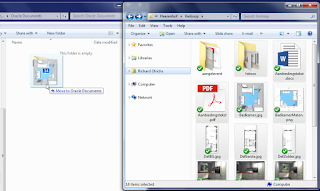 In the second blog, Install the Documents Synchronization Client, I will show how to set up Documents to start using it. 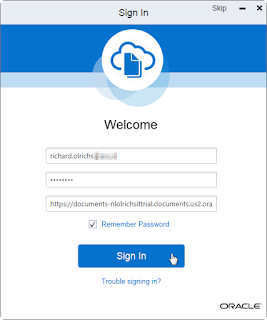 After setting up and installing the Client, we can Start building your website in the Cloud. 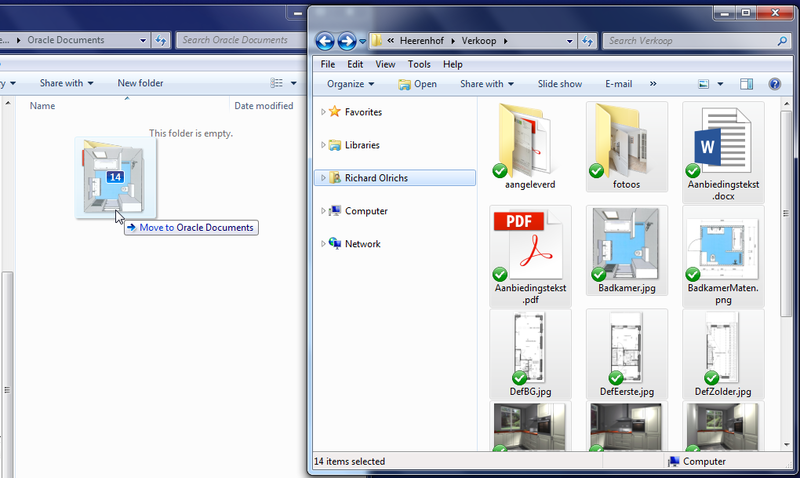 If you want to use DCS from the ipad, you can install the Oracle Documents app. 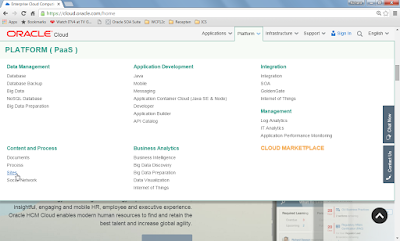 After in stalling the app, I showed how to add a Map Component and Publish your Microsite.